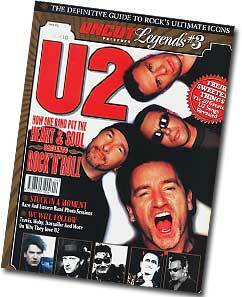 Uncut Magazine released their third special ‘Legends’ issue this month, this time featuring U2. If you haven’t already picked up a copy from your newsagent, go do it now – it’s quite good value for money. All U2’s albums are discussed and all members of the band have a chapter dedicated to them. A number of photographers pick their favourite U2 shots and journalists like Gavin Martin and Stuart Bailie chip in with features on ‘what makes U2 tick’. Unfortunately, the issue is not without its flaws. 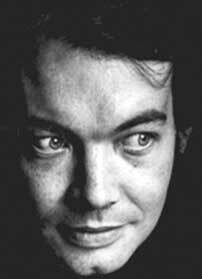 Irish journalist Bill Graham is mentioned a number of times in the magazine, but the pictures that go with the quotes are of of the American concert promotor of the same name. Last week we told you about Ali Hewson’s helping to raise money for Down’s Syndrome Ireland (see Bags on Display). Now we’ve learned that Larry Mullen also has pitched in for the cause by designing a t-shirt for the organization. Larry’s design, along with several other celeb t-shirt designs, are available for purchase at Brown Thomas stores and its affiliates across Ireland. All profits from the t-shirts, which retail for Euro 30 for ladies and Euro 35 for gents, will go directly to Down’s Syndrome Ireland.